Hopefully this is so obvious that you never need to read about it. Really, I’ll be fine if you skip this post. If you’re in a job search, you must first know what you’re searching for. Funny thing, the more specific you are in what you’re searching for, the easier it is for others to help you and in the end, the easier it is to find. Some people don’t think so. They think you must be flexible and open to anything. You find a lot of these flexible people at Career Ministry meetings, month after month after month. If you don’t know specifically what you are searching for, then you are actually in a career search. This is not a bad thing, it’s just different from a job search. A career search is one of the greatest learn-about-yourself experiences ever. There is one small complication: not many people will pay you money to discover what you want to do. 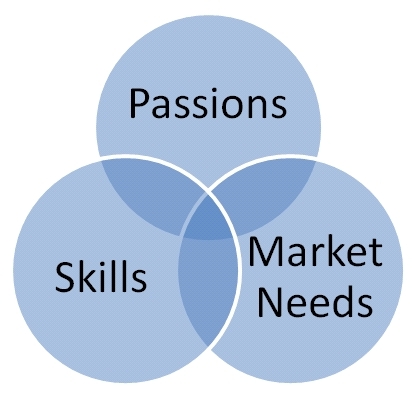 An ideal career is the intersection of skills, passions, and market needs. This is one of those cases where two out of three is terrible. You have to hit all three, solidly! 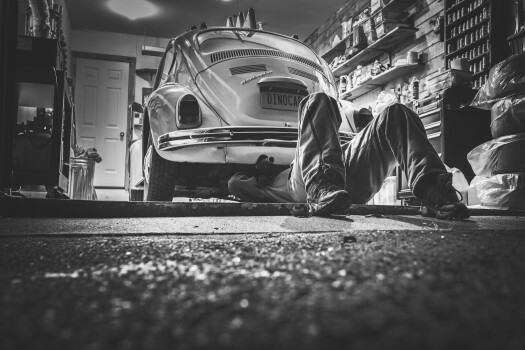 Tony Morgan wrote a post on Finding Your Dream Role that addresses this same idea a little differently. If you don’t know what you want to do, spend the time to find out. If you think you don’t have time to find out, don’t be too surprised if months from now, you’re still looking. There are many books and on-line assessments to help you determine a career fit. You can find free resources, or low-cost, or very expensive. Be careful how much you commit to pay if you aren’t sure the value of the results. One risk: what if you discover you don’t really have the credentials for your ideal career. That is a serious problem. Too bad this country has give up most of the idea of apprenticeships. You can find all my Job-Search related articles here. This entry was posted in JobSearchHelp and tagged "Job Search Tips" on October 14, 2014 by Tony Dye.